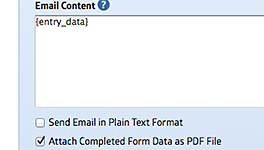 MachForm version 4.7 is now available for downloads on Billing Area! This update added several new features, improvements and bugfixes. We recommend you to update due to improved functionalities within this release. As of v4.3, MachForm requires the minimum version of PHP on your server to be at least PHP 5.3.0. If you’re still using older version (PHP 5.2), you need to upgrade your PHP version first. This update is FREE for all users having active support contract. 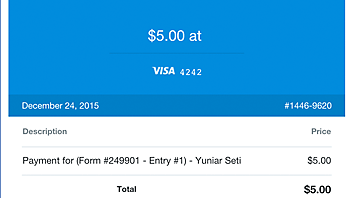 MachForm version 4.6 is now available for downloads on Billing Area! or URL based on user response. and use advanced data filters. for each form resume-email content. Due to the large amount of MachForm users are using WordPress as well, today we’re releasing v4.5 specifically to address this issue. 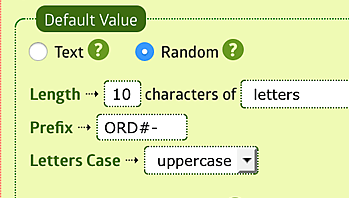 MachForm v4.5 will generate new form code and compatible with the latest WordPress update. If you’re using WordPress and your forms are no longer displaying, you’ll need to update to this version. Once you’ve updated your MachForm, make sure to copy the new form code and replace the old form code on your wordpress pages. MachForm version 4.4 is now available for downloads on Billing Area!. 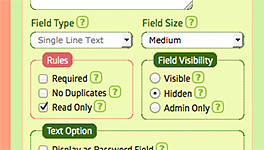 automatically hide as the user types in. Multiple Choice / Dropdown option. 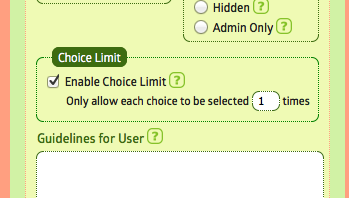 Ability to set maximum entry limit for each Dropdown/Multiple Choice option. 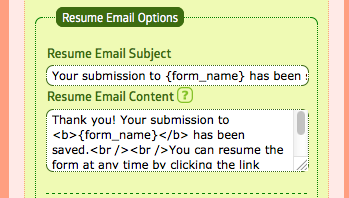 Improved form accessibility. No more errors when validated using the WAVE Accesibility Tool. More flexible LDAP (AD) integration. 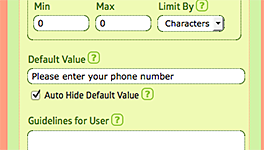 Allows selection of UPN or samaccountname for login. MachForm version 4.3 is now available for downloads on Members Area! This update added two new important features, improvements and bugfixes. As always, we recommend you to update to this version if you’re still using older version. 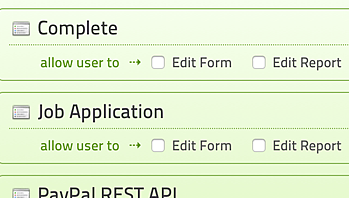 When the form being embedded using iframe, it jump itself to the top of the page when hovering into submit button / fields. Happens on Chrome >= v36 only. As of this version (v4.3), MachForm requires the minimum version of PHP on your server to be at least PHP 5.3.0. 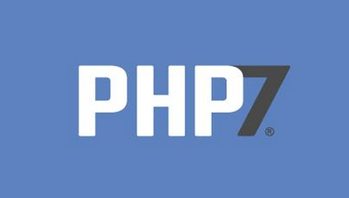 If you’re still using older version (PHP 5.2), you need to upgrade your PHP version first. This update is FREE for all V4 owners. With the release of MachForm v4.3, we’ve added a new feature to let your MachForm to authenticate against LDAP server. If you’re not familiar with LDAP already, then most likely you won’t need to use it. LDAP (Lightweight Directory Access Protocol) is mostly used by medium-to-large organizations to provide single sign-on functionality across different applications. How does MachForm work with LDAP? Once enabled, all logins will be authenticated against LDAP server. Local MachForm user will be created automatically (if no existing machform user found) for authenticated LDAP login. Any operation to change login credentials from within MachForm will be disabled and you’ll be able to control it from your LDAP server. 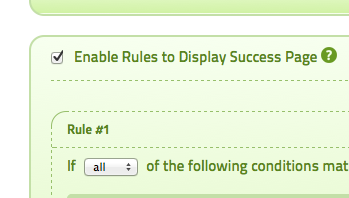 However, to assign custom privileges/permissions, you still need to use MachForm panel. 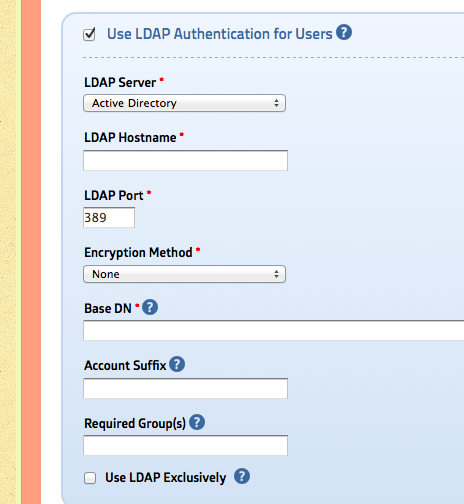 Simply go to Settings page and turn on “Use LDAP Authentication for Users” option. You’ll be prompted to enter your LDAP server details there. MachForm has been tested to work with Active Directory, OpenLDAP and ApacheDS. It should also working with other LDAP servers that support LDAP V3. This functionality require PHP LDAP extension to be enabled on your server. LDAP Authentication is only available within MachForm Unlimited license. MachForm 4.2.3 is now available for downloads on Members Area. This is a critical security release for previous versions (v3.0 or newer) and we STRONGLY encourage you to update your machform immediately. Detailed information regarding the security issue will be published later. This is necessary, so that other machform users will have enough time to update their installation. We appreciated the responsible disclosure of this issue directly to MachForm team, reported by Amine Taouirsa (S2 Groupo). If you, for any reason, can’t update your machform to v4.2.3, we’ve prepared v3.5.4 containing the security fix. You can download it from members area. We will provide full technical support for all affected MachForm users (v3.0 or above), regardless of your support contract period. Please contact us directly if you need further assistance with the update. If you have customized MachForm, we can help you with the customized update as well. We recognize how much trust you place in us and we take this responsibility very seriously. We’re sorry for this issue and we’ll help you as hard as we can to update and secure your machform. 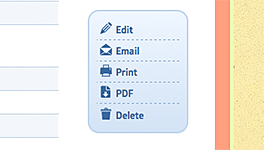 MachForm version 4.2 is now available for downloads on Members Area!. This update added several new features, improvements and bugfixes. We recommend you to update due to improved security protections within this release. With the release of MachForm version 4.2, we’ve improved many security aspects of MachForm. 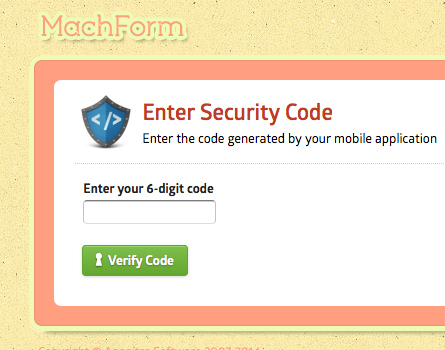 One of the major improvement is 2-Step Verification for MachForm Panel. 2-Step verification is an optional but highly recommended security feature that adds an extra layer of protection to your MachForm accounts. Once enabled, MachForm will require a six-digit security code (generated by TOTP authenticator mobile app) in addition to the standard password whenever users sign in to MachForm panel. You can enable this new feature by clicking My Account on your MachForm panel and then turn on Enable 2-Step Verification. 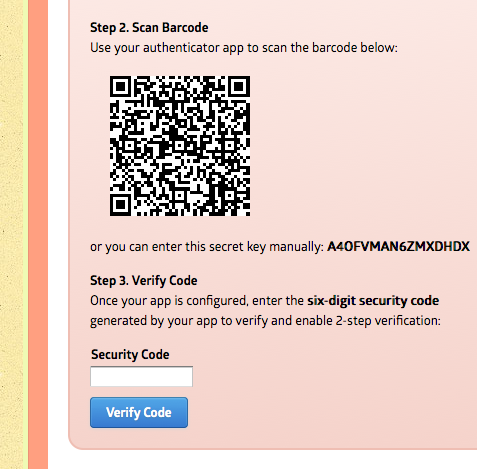 You’ll be shown your secret key and its QR code, which you can scan into your 2-step verification app. Install one of these apps (see list below), scan the QR code shown in the MachForm Panel, and then use the app to generate a secure token every time you log in. 2-Step verification drastically improves the protection of your account by requiring not just something you know (your email and password), but also something you have (your mobile device). 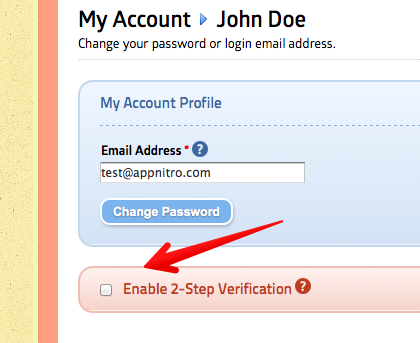 By default, 2-Step Verification is an optional feature that can be enabled/disabled personally by every user. However, Administrator can also enable the option to enforce 2-Step Verification on all users. So that all users will be required to use 2-step verification, regardless of the personal preference. Ever need to copy your form from your development server / local computer to your live site? 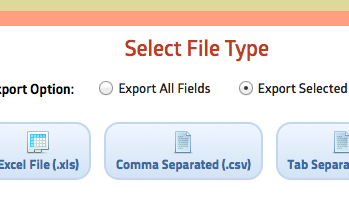 Or need to copy the form from one site to another? Unfortunately, it wasn’t possible to do so 🙁 Well, at least there wasn’t any easy way to do that. This is a small utility but VERY useful and requested by many people. 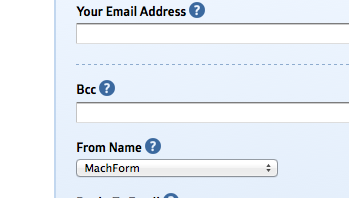 To use this tool, simply login to your MachForm and go to Settings page. You’ll find the Export/Import Tool at the bottom of the page. When you import a form, all form fields and settings (including logics, payments, emails, etc) will be copied and the form will get new id number. 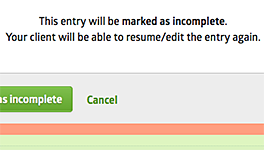 The only exceptions are the theme and entries data, the tool won’t import them.